Artistic potential in the Danube basin is alive and well – exceptionally so. It is the goal of the Danube Dialogues Festival of Contemporary Art to locate and present the particular range and impact of the works emerging from ten of its countries: Germany, Austria, Slovakia, Hungary, Croatia, Serbia, Romania, Moldova, Bulgaria and Ukraine, while enabling artists to mix, exchange their thoughts and experiences, and share their works. The basic idea is to discover the most diverse variations of dialogue. 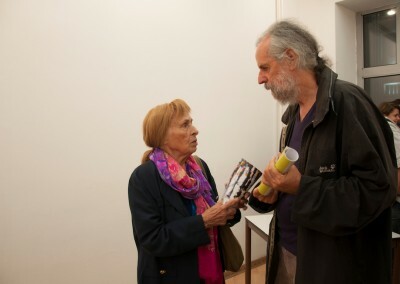 Each year, the organisers make use of their privilege to set up exhibitions that bring selected Serbian artists into dialogue with their fellows from one of the other countries. So far, these have been artists from Hungary and Austria; this year it was Slovakia. The exhibitions have shown themselves to be not only possible, but effective and philosophically potent. For despite all the differences in cultural characteristics, concepts, sensibilities and understanding, the representativeness of art comes to the fore: its language is understandable even when the artist is pushing his or her particular and personal artistic, philosophical or poetic way of thinking; indeed, we have seen that this is the only kind of art worth the dialogue. From the post-modernism of the last century, discarding the continuity of Argan’s concept of art as an evolving project, the predominant art-society relationship has been replaced by a much more intimate artist-individual relationship. Moreover, like all other areas of human activity, art has been overtaken by the relentless march of electronic visual systems, particularly the all-encompassing iconosphere, which has altered the status of the picture from its very roots translating it ever more into the sphere of advertising and information. Because of this, painting and pictures that manage to achieve real ontological particularity are becoming an increasingly delicate and fragile medium, the sole guardian of human individuality, sensitivity and integrity. One of the characteristics of the Danube – if not peculiar to it – is the mixture of peoples living within one country. In Vojvodina, there are several artists from the Slovak minority whose presence and effect on local art have run like a continuous thread throughout the last century. In the early 1900s, one of the more outstanding was Ciril Kutlik, who founded the Arts and Crafts School in Belgrade, the nursery of many painters who were to rise to prominence in Serbian art such as Nadežda Petrović, Milan Milovanović and Kosta Miličević. Leading names in Vojvodina in the first half of the twentieth century were Miloslav Lehotski (a late impressionist) and Zuzka Medveđova, a woman painter who, it seems, was the first among the Slovaks to achieve academy status. In the 1930s, a group sprang up that became known as the “Kovačevica School of Naïve Painting”, consisting of artists such as Sokol, Knjazovic, Paluška, Jonaš, Halupova and Čižikova; by the middle of the century, it had won international interest and a deserved reputation. This was matched by the growing presence of Slovak artists educated at the academies in Belgrade (Brtka, Piksijades, Gaško, Šimović, Kizur), Bratislava, (Klaćik, Pop, Suđi, Fajndović, Triaška), and Novi Sad (Čanji, Škulec, Šanta, Đurovka), along alternative artists, such as Supek. Slovaks took part in major artistic events in Vojvodina and Serbia throughout the latter half of the twentieth century, especially as it crossed into the next, and continue to do so after 2000. 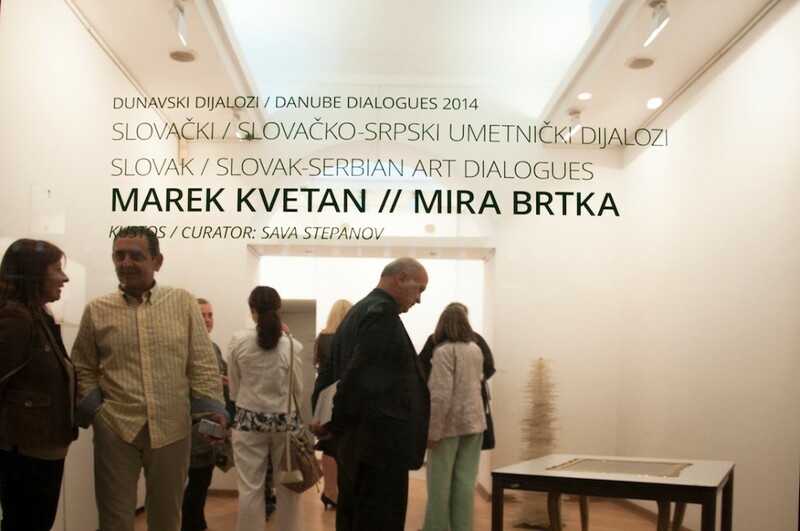 This year’s (2014) “dialogue exhibition” was between artists from Slovakia and Slovak artists living in Serbia, an event that turned out to provide many ways of looking at current trends in both environments. One of the Festival principles is that the artists must be considered adequate representatives of what is happening in art in both places. 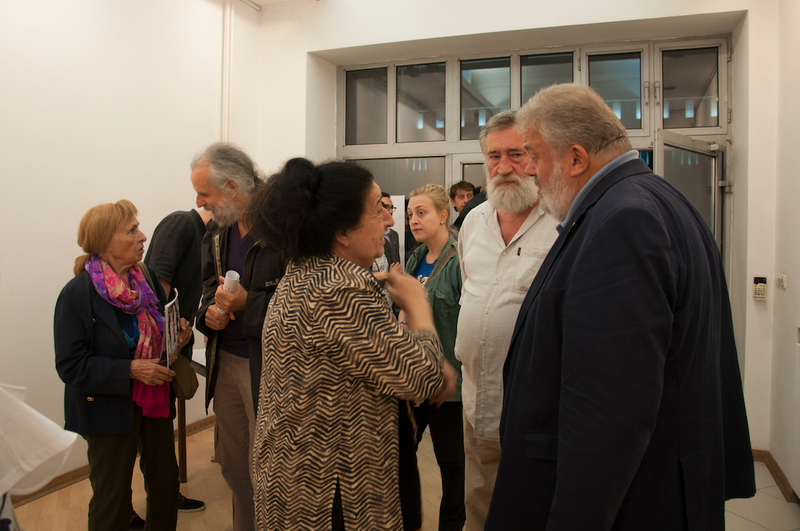 Links between the two already exist, and it is interesting to note that everyone taking part in the exhibition had already shown both in Serbia and Slovakia and so were familiar with the local atmosphere. The two contexts are separate, but very similar. It must be said that in the case of Slovakia, the process of transition which began with the disintegration of Czechoslovakia in the post-communist period, managed to avoid the more drastic of the initial pitfalls; Slovakia joined the European Community, thus ensuring greater mobility and a wider scope for her culture. However, that was not quite the end of the crisis, particularly for art. The distinguished Katarina Bajcurova in “Art and Crisis – Art in Crisis?” tells us that the renovation and re-opening of the Bratislava National Gallery has been marking time for over ten years now, with no visible sign of the works coming to an end. Meanwhile, contemporary art relies on the commitment of recently-opened non-government organisations, which lack both coordination and a coherent plan for development. Art in Serbia still bears the scars of sweeping changes: the post-communist period is strewn with broken lines of communication and lost continuity; it must not be forgotten that art in Serbia as it is today developed within the context of Yugoslavia. In the early 1990s, the dynamo of history swept the former federation away, bringing a disastrous war in its wake (1991-1995). This was followed by the 1999 NATO bombing of the infrastructure and other capacities in the now “curtailed” Yugoslavia, and the democratic changes of 2000, whose initial élan was slowed by the assassination of Prime Minister Đinđić in 2003. Additionally, Serbia was only constituted as an independent country in 2006, an act that actually reawakened questions of identity in Serbian art. The upshot of all these upheavals was to turn Serbia into a “crisis society”. 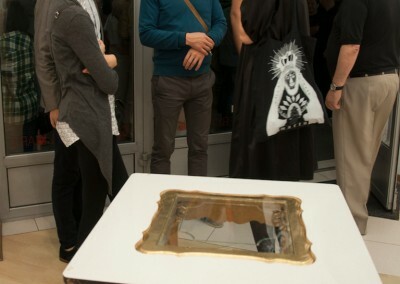 In this sort of environment, “the practice of art and works of art are not considered as an autonomous art world, or even a distant reflection of the world outside of art, but as instruments of practices signalling day-to-day existence at a certain chronological and geographical point” (Miško Šuvaković). It is in this sense that we should look on those taking part in the dialogue. The artists from Slovakia, chosen by the wish of the Serbian selectors, fit largely within the Slovak and European traditions of the avant garde and modernism. The rationalism, formalism, construction and contemplativeness in the creations of Frešo, Kvetan, Derner and the Triaška man-and-wife team are founded in genuine experiences arising from the quotidian. Their works throw up concrete elements of reality. With Frešo, these are wheels, suitcases, balls and other props, ideas of travel and relaxation; with Kvetan, the work is put together from everyday objects: tables, plates, books, items on which to ponder the idea of home; Derner reshapes books into a harmonious plastic structure which lauds the idea of learning and the integrity of knowledge; the Serbian-Slovak couple, Olivera Stefanović-Triaška and Jan Triaška, interpret the idea of the house as habitat and institution in various media, Jan through painting, Olivera through photography. 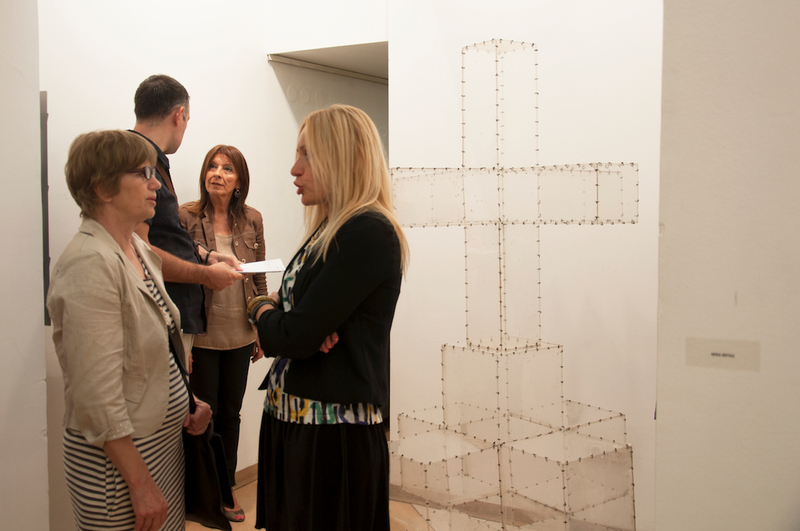 In contrast, the Slovak artists from Serbia define their works as abstract-formalist. Mira Brtka’s translucent constructions, Rastislav Škulec’s reduced sculptures and Jožef Klaćik’s “spacified geometrical picture” do not spring straight out of everyday reality, but are examples and instructions for getting the better of the slings and arrows life throws at us. 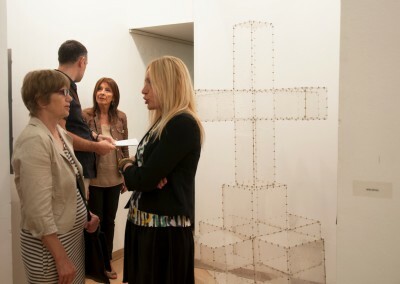 In other words, in these dialogue-exhibitions, the artists from Slovakia consider the specific situation and establish a dialogue about existing practice, based on a certain experience; those from Serbia try to propose principles that would provide guidelines for forming and ordering the society in which they live, work and create. As in every discussion – and these exhibitions undeniably are – there are, naturally, similarities and disparities. What is clear is that they are no longer to be sought at national level but in universal principles. It is evident, too, that neither side bore any visible signs of a “Slovak syndrome” or anything that could be identified as peculiar to a particular surrounding. The most valuable result of these exhibitions are the plainly expressed aesthetic and ethical principles evinced by each work. The artist is an active participant in the quotidian, but he is also a mover and corrector who, in a world coarsened by the thrusting interests of big capital, tries to mend life, even if the repairs are small and minor. Obviously, globalism has imposed itself upon us, whether we want it or not; the same information appears at the same time on screens around the world. Contemporary art is, of course, obliged to participate in these processes. 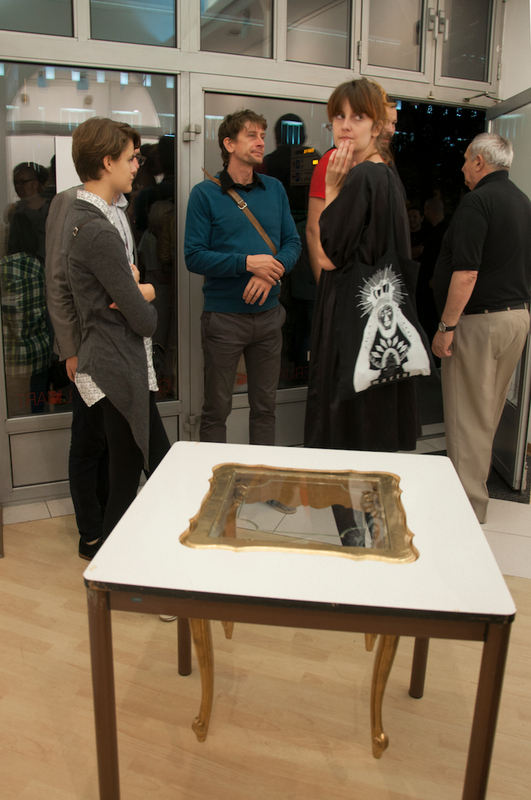 If the individual qualities emanating from the works of Viktor Frešo, Martin Derner, Marek Kvetan, Jan Triaška, Olivera Stefanović-Triaške, Mira Brtka, Jozef Klaćik and Rastislav Škulec is an example, then there can be no doubt that art and the artist are still managing to hold on, not only to their own dignity, but the dignity of each and every one of their consumers.